I remember shelling out what I thought was big bucks on a MAC 190 flat foundation brush when I was about 17, and for about 7 years thereafter, I used that brush to literally paint the foundation onto my face. I remember when I first heard about applying foundation with a flat top kabuki and using that to buff it into your skin, I thought it was genius, and I think the first flat top kabuki brush that I opted for was the ELF Powder Brush. Fast forward a few years later and I can honestly say, I have found my dream, holy grail foundation brush- the flat buffer brush F20. It's almost three years to the day since I bought my first Blank Canvas Cosmetics F20 brush, and I can say it is one of the brushes I reach for every single day of the week (not the ACTUAL same brush, I have 7 F20s, 3 retractable F20s and a G20 because I am a nutter like that and I panic at the thought of applying my foundation with anything else). I love this brush for about 10 different reasons and I am going to spell them out one by one. The reason I have felt compelled to even write this post is that I have recently seen my precious, beloved F20 come under some scrutiny on Twitter and not all of it entirely positive- nothing in particular and not disputing anybody's experience in the slightest. Of course, we all have different experiences with brushes and different preferences, but I just feel like a mama bear protecting my cub when it comes to defending this little gamechanger, and I have loved it ever so much for the last three years. 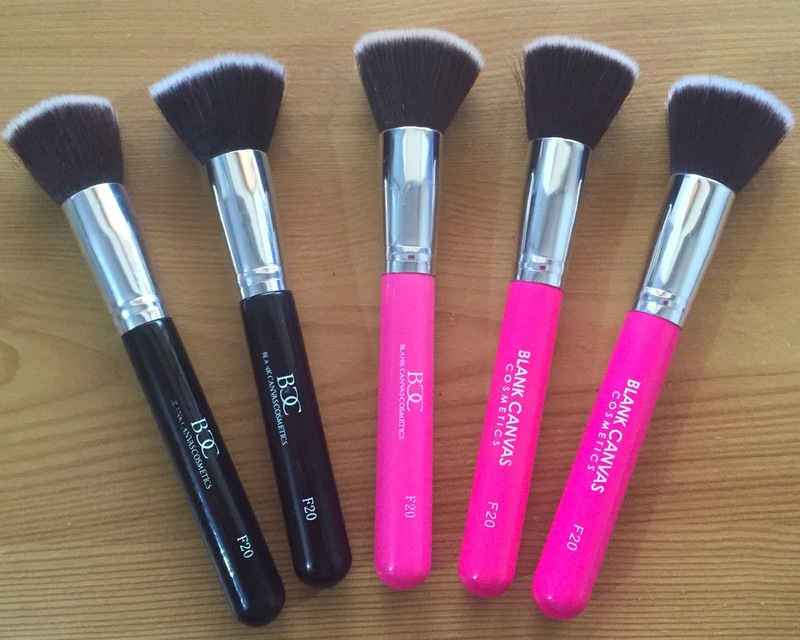 If I had to choose just five makeup brushes to take with me to a desert island or something, there is no doubt but that I would bring the F20. My first ever F20, and the years have been good to it! 1. The length of the handle is perfectly ergonomic, it's not too long and it feels really comfortable in my hands. 2. The density of the bristles- they are not too dense but not too flimsy, they have a nice bit of "give" in them which assists greatly with buffing and the likes. The brush is well made and well cut. 3. The choice between black and pink- black and pink are probably my favourite colours and I love that my favourite brush comes in both. 4. The Glossy and Retractable varieties- I'm sure that you are probably aware that the F20 comes in a glossy retractable version (complete with lid- perfect for travel or transporting in your makeup bag) and it a thicker handled glossy version- same lovely head on different bodies. 5. The soft bristles are like stroking your face with cotton wool. They are unbelievably soft and cause my sensitive skin no irritation whatsoever. 6. The airbrushed finish that you can so very easily achieve with this brush is phenomenal in my opinion. It just buffs everything to perfection and doesn't leave any tell tale streaks or soak up too much of the product that you are applying. 7. The multipurpose functionality is credit worthy- apply your primer, foundation, blend out your concealer, use the side to apply some contour under your cheekbones, use to apply blush to the apples of your cheeks or buff out your blush if it's a bit strong looking, apply bronzer to your face or neck or some setting powder over your foundation- this brush will do just about anything for you. 8. The price tag- one for €13.99 or two for €22.99 on the Blank Canvas Cosmetics website and there are often sales and discount codes applicable so you might get another few sheckles knocked off. 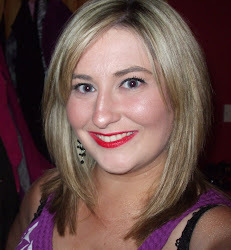 Also available on the Cloud 10 Beauty and Dolledup.ie websites. Complete bargain. Kind of daylight robbery. Don't feel guilty- buy ALL the brushes. 9. The ease of cleaning- I clean this with whatever shampoo I happen to have in my bathroom at the time, and the brush always comes out of every wash looking squeaky clean and shiny. The foundation just falls off this brush when you use warm (not hot!) water- no vigorous scrubbing or swirling necessary. 10. The durability- which is the main reason that I wanted to write this post and get my thoughts across. In the three years that I have owned all of these F20 brushes, I have never experienced any shedding or damage to any of the brushes. They get used daily with thick foundations like Estee Lauder Double Wear and MAC Studio Fix and they are still in as good condition as they were the day I purchased them. My oldest brush is three years old and has probably been through the washing process at least 50 times and is still in perfect condition. My experience with this brush has been 100% positive- why do you think I keep adding to my collection eh?! Nothing more from me really- just wanted to show a bit of brush loyalty and show my appreciation for and pay homage to a tool that I couldn't imagine not owning now, I have honestly become reliant on it. The F20 is an absolute must-have brush in my honest opinion- and I just really wanted the world to know that.